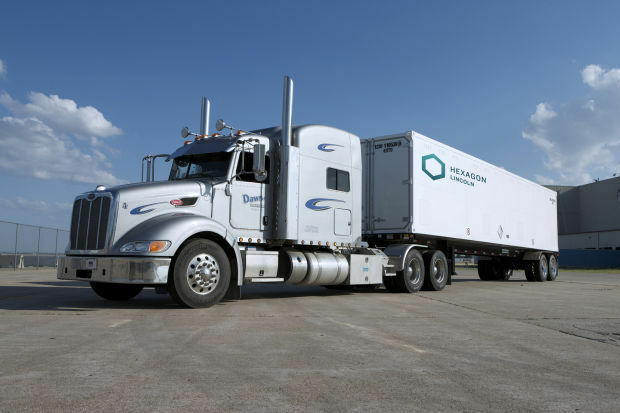 Hexagon Composites’ subsidiary Hexagon Lincoln has received a new purchase order for TITAN® 4 trailers from Certarus Ltd., provider of fully integrated CNG delivery solutions, with a total value of USD 10.4 million (around NOK 85 million). Deliveries are scheduled for first quarter of 2018. “The macro trend of gasification of both the oil & gas sector and industrial markets has created strong demand for Certarus. This new order of TITAN® trailers will be deployed primarily into our industrial power generation fuel supply business line. Certarus is the North American market leader for large scale integrated compressed natural gas solutions and Hexagon’s TITAN® 4 is the core of our fleet”, said Curtis Philippon, President & CEO of Certarus Ltd.
“We continue to see strong growth in the Mobile Pipeline® market driven by the desire to reduce fuel costs and pollutant emissions. We are positioned to support this growth through our capabilities in North America,” stated Miguel Raimao, Vice President Mobile Pipeline® at Hexagon Lincoln. “We are proud to be a trusted partner of Certarus who is a pioneer in the supply of clean fuel into the oil and gas fields of North America. This new follow-on order continues to affirm Hexagon’s class leading product performance and unmatched after-sales service support,” said Jack Schimenti, President of Hexagon Lincoln.